ACT Expo: The agenda was released and the early bird registration opened last week for the sixth annual 2016 Advanced Clean Transportation (ACT) Expo, taking place May 2–5 at the Long Beach Convention Center in Southern California. Co-hosted with the Electric Drive Transportation Association, the Propane Education & Research Council, and the California Hydrogen Business Council, ACT Expo has become North America’s largest advanced clean vehicle event. The conference’s name was changed from Alternative Clean Transportation Expo to Advanced Clean Transportation Expo, emphasizing the emerging importance of urban mobility, and connected and autonomous vehicle technologies, in the clean transportation sector. Electrified transportation will also play a significant role in the event, as reflected in a complimentary, one-hour webinar this morning at 10:00 a.m. PST, which explains what we can expect from the electric vehicle charging infrastructure industry. Attendees at ACT Expo will gain hands-on access to the wide range of clean transportation solutions available, which includes electric, hybrid, hydrogen, natural gas, propane autogas, renewable fuels, and advanced efficiency, telematics, and connected vehicle technologies. Latest on VW: Volkswagen is hoping its commitment to advanced electric vehicles will help restore its corporate responsibility image in the wake of the diesel car scandal. The VW Tiguan GTE Active Concept is making its North American International Auto Show debut, as an “extreme off-road version” of the current VW SUV with a plug-in hybrid system that can get up to 20 miles on battery power. The Consumer Electronics Show in Las Vegas was also a showcase for VW’s cleantech mission. The VW BUDD-e concept offers a new modular platform toolkit designed for electric vehicles that the automaker intends to deploy across its brands. (Read more in the CES feature). As for the diesel cars, Volkswagen Group assumes it will have to buy back about 115,000 cars in the U.S. to deal with the scandal. The German automaker expects it will have to either refund the purchase price or offer a new car at a significant discount. The automaker expects that the rest of the vehicles will need major fix-its. In other news, a former FBI director has been named by a federal judge to help settle cases. U.S. District Judge Charles Breyer said he would name Robert Mueller, former director of the FBI, as “settlement master” in the VW lawsuits. Breyer is overseeing more than 500 lawsuits filed against Volkswagen AG over its excess diesel emissions. Chrysler is entering the plug-in market with the very first electrified minivan. Displayed at Detroit Auto Show, the all-new Pacifica is the first minivan with a plug-in hybrid powertrain. Chrysler has used the name Pacifica for a crossover utility vehicle sold in the mid-2000s. It replaces Chrysler’s Town & Country, which rolled out in 1989 and became iconic in the emerging minivan market along with the Dodge Caravan and Grand Caravan. Its official names is the Pacifica Hybrid, uses the latest Pentastar V-6 from Fiat Chrysler Automobiles. CALSTART opens clean transportation center: CALSTART yesterday announced it has opened the San Joaquin Valley Clean Transportation Center, the goal of which is to accelerate the use of clean vehicles and fuels and help the region more quickly meet its air quality targets. With funding from the California Energy Commission, the Center will provide technical assistance, project development expertise, and support with acquiring funding for vehicles for fleet owners, local governments, businesses, and residents. Based in Fresno, Calif., the Center’s work will expand the use of zero-emission vehicles, clean trucks, and high-efficiency non-road equipment. EPA certifications: Three companies and an industry trade group have earned U.S. Environmental Protection Agency certifications for alternative fuel vehicle technologies. Greenkraft Inc. has received EPA and California Air Resources Board certifications for compressed natural gas and propane autogas conversions of the model-year 2016 General Motors 6.0L V8 engine. Cummins has received certification for its lineup of on-highway diesel and natural gas engines from the EPA. IMPCO Automotive has received EPA certification for its 2016 Ford F150 (half ton). The truck features the 5.0-Liter TI-VCT V8 engine converted for bi-fuel operation. Alliance AutoGas has secured EPA certifications for bi-fuel propane autogas conversions of two heavy-duty spark-ignited engine platforms: the 6.8-liter V10 from Ford and the 6.0-liter V8 from General Motors. Depending on the engine certification, model year coverage ranges from 2010 up to 2016. Quantum Fuel Systems Technologies Worldwide has received an additional development contract from Karma Automotive for software control and system development of the Karma vehicle platform. Quantum received a payment of $2 million in October from Karma Automotive which will also allow Karma Automotive to use the Quantum software on future vehicle line platforms, as well as the Karma vehicle to be introduced in 2016. In November, Karma Automotive exercised its option to acquire joint ownership of Quantum’s control software for $1 million. MPG down: The University of Michigan Transportation Research Institute reported that average fuel economy of light vehicles purchased last year fell below 25 mpg for the first time in nearly two years. Light vehicles sold in December averaged 24.9 mpg, down from November’s revised 25.1 mpg. Fuel economy is down 0.9 mpg from August 2014’s peak of 25.8 mpg; it’s still up 4.8 mpg since October 2007, when the institute began recording the data. Elio Motors may have a serious challenge to face with a National Highway Traffic Safety Administration proposal to change its regulations for three-wheeled vehicles. Elio wants to classify three-wheelers as motorcycles to avoid the stricter safety and efficiency regulations that govern cars; but if the rule is changed, that classification would only be assigned to traditional motorcycles. Micro-hybrids and 54.5 mpg: Lux Research’s analysis has found that micro-hybrids will provide the most economical route to meeting 2025 targets. Micro-hybrids stand a better chance of meeting the federal 54.5 mpg by 2025 standard than will alternative technologies like all-electric vehicles, super-light carbon fiber composites, and hydrogen fuel cells. Lux Research says that a micro-hybrid car can automatically stop its engine when it would otherwise be idling, using an improved or an additional battery (or another type of energy storage) to quickly restart it when it’s time to move; with some even capture braking energy and do propulsion assist. Improved batteries, lighter structural materials, and improved fuels will support micro-hybrids in meeting the federal targets, Lux Research says. NGV forecast: While drops in oil prices since the second half of 2014 and gains in battery cost reduction and capacity are hindering some of the advantages of natural gas vehicles, the market is still expected to experience growth. Navigant Research does predict growth in the NGV market through 2025, though at a slower pace than was assumed a few years ago. Other factors will be affecting regional markets – including ongoing political tensions, the availability of refueling infrastructure, tightening tailpipe emissions requirements, and total cost of ownership, says Sam Abuelsamid, senior research analyst with Navigant Research. What’s next for VW: The first part of this new year will see details released on the Volkswagen recall by the U.S. Environmental Protection Agency and California Air Resources Board on a proposed fix for its diesel-engine cars. 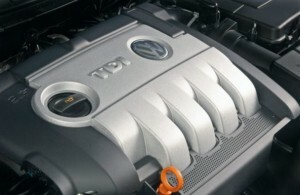 EPA and CARB will be making an announcement this month regarding solutions proposed by Volkswagen for about 482,000 cars equipped with EA 189 engines; some models will likely require hardware and software updates, while other may require only a software solution. The recall might be tied into the lawsuit the U.S. Justice Department filed in a civil complaint yesterday on behalf of the EPA (see news coverage above). Electric vehicle launches may be a channel for VW to tap into to restore its image as a responsible global corporation. On January 5 at the Consumer Electronics Show, Volkswagen’s new chairman, Herbert Diess, will make a keynote speech announcing VW’s “new era in electric mobility” that will broaden its pre-existing commitment to electrification along with a new all-electric concept car. It’s still unknown whether that new vehicle will be an electric version of its flagship next-generation Phaeton sedan, an electric Microbus, or something else. Presidential election: The Obama administration has been supportive of U.S. Department of Energy grants for clean vehicles and tax incentives for electric vehicles and natural gas vehicles, among other supportive measures. As that president leaves office in a year, questions are coming up on what leading candidates think about environmental issues, clean energy, and alternative fuel vehicles. On the Republican party side, in the latest voter polls, Donald Trump, Ted Cruz, and Marco Rubio, have been the leading candidates. On the Democratic party side, Hilary Clinton is the obvious choice now that Bernie Sanders has stepped out of the race. Alternative fuel vehicles hasn’t been a topic of discussion at presidential debates, but the Obama administration’s Clean Power Plan, released in November, and the issue of climate change, have been. Cruz and Rubio strongly oppose CPP and all three Republican candidates think there’s no real proof climate change and global warming are really happening. Free market economics is a philosophy all three embrace. Cruz opposes the Renewable Fuel Standard as he doesn’t support subsidies and the federal government picking “winners and losers.” As speaker of the Florida House of Representatives, Rubio opposed executive orders limiting greenhouse-gas emissions and setting stricter limits for cars sold in Florida; he thought the state should instead embrace the free-market approach. Trump strongly supports the Keystone XL pipeline and hydraulic fracking. Clinton supports a goal of having at least 33% of the nation’s power generated by clean energy sources by 2027; believes climate change is an urgent challenge; and has been unclear on positions on Keystone XL or offshore oil drilling. Clean transportation events: Calstart’s Clean Low-Carbon Fuels Summit will be in Sacramento, Calif., on February 23; Green Truck Summit will take place March 1-3 in Indianapolis; NAFA I&E with its Sustainable Fleet Accreditation Program will be April 19-22 in Austin, Texas; ACT Expo will be going back to Long Beach, Calif., on May 2-5; AltCarExpo will take place on September 16-17 in Santa Monica, Calif; and Automotive Fleet’s Fleet Technology Expo will be held October 17-19 in Schaumburg, Ill. And don’t forget Clean Cities coalition events throughout the year. Fuel prices: Low gasoline and diesel prices have been deal breakers in the past year and a half for fleets investing in CNG and propane conversions and consumers backing away from hybrids and electric vehicles. The global oil supply is expected to eventually feel the effects of growing demand from developing nations; as for now the supply is high enough to keep fuel prices down into 2016. 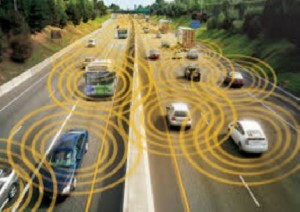 Autonomous vehicles: Testing programs will continue to put miles on the road in states that have adopted autonomous vehicle road testing (with most of it still in California). Austin, Texas, is working on a test program with Google on its roads, and hopes to see the state of Texas get on board. Watch for automakers to continue rolling out connected car and semi-autonomous features this year. A good example of this trend is Toyota designing a system to improve and accelerate the mapping of U.S. roads needed to put autonomous vehicles on the roads. It will be debuted at CES 2016 for rollout in 2020. Hydrogen infrastructure: Hydrogen fueling stations are slowly rolling out in California, with construction underway within a few states in the northeast. Check out the federal H2USA collaborative projects for updates on Connecticut, Maine, Massachusetts, New Hampshire, New Jersey, New York, Rhode Island, Vermont, and California. Crowdfunding capital: As described in Green Auto Market about a year ago, crowdfunding has gone way beyond a funding source for student film projects and startup rock bands. The Securities and Exchange Commission has released rules on the Jumpstart Our Business Startups Act of 2012 (JOBS Act) that will take effect in May 2016. That’s expected to bring in more investors who will provide more funding than has been the norm in cleantech crowdfunding projects in recent years. Hybrid Terrafugia TF-X: For those of you fascinated with futuristic vehicles, check out the Terrafugia TF-X, which just received Federal Aviation Administration approval for test flights. This mid-size car has twin helicopter-style rotors at the tips of its wings that fold out of the car and lift the TF-X into the sky. Once it’s up in the air, electric engines teamed with a 300-horsepower engine provide power. The rotors fold back, and a ducted fan pushes the TF-X along. 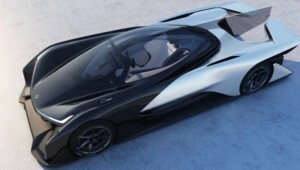 It has a cruising speed of about 200 mph, with a range of about 500 miles. Infrastructure growth: During 2015, compressed natural gas fueling, electric vehicle charging, and E85 stations had the largest growth curve. CNG went up 98 stations in the U.S., EV charging went up 2,811 stations, and ethanol (E85) increased at 173 more gas stations. Biofuels: Lux Research predicts that waste oils will dominate next-generation biofuels in upcoming year. Biodiesel made from novel feedstock, specifically waste oils, will lead novel fuels capacity in 2018. Cellulosic ethanol and renewable diesel follow with 19% and 18%, respectively. The future of Uber: While ridesharing giant Uber is expected to add more investors and will consider going public on the stock market, a big legal question will have even more impact on its future. 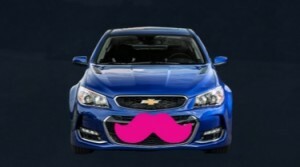 The question of whether it will be a transportation network linking car owners to riders or a company with employee drivers will be carefully watched by Lyft, Airbnb, and other “shared economy” startups. Boston-based attorney Shannon Liss-Riordan is representing Uber drivers in California who want to be considered employees (or at least have some of those financial benefits). Liss-Riordan thinks it’s a much bigger question with the on-demand, shared economy encouraging misclassification and mistreatment of its workers – and that includes food delivery startups. Liss-Riordan currently has a lawsuit against Postmates pending in federal court in California; and in California state court, she’s filed class-action complaints against DoorDash and GrubHub. The Uber class-action lawsuit, and these other suits, will take much longer than 2016 to see final court rulings, but analysts are paying a lot of attention to these cases. Uber management certainly cares about it as its business model is based entirely on independent contractors – and eventually with driverless cars being in its fleet.